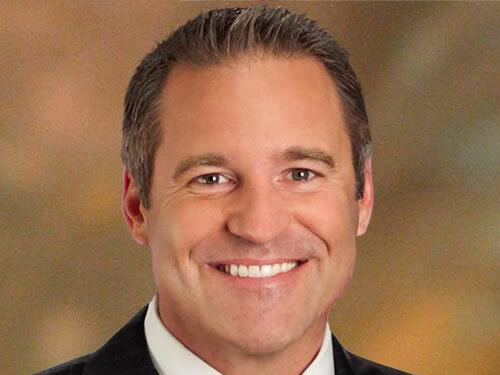 Steve Atkinson is the Co-Anchor of 10News at 5 p.m., 7 p.m. and 11 p.m. along with Kimberly Hunt. He began his career in Arkansas in 1989 but returned to his home state of Texas with stops at KVUE-TV in Austin and WFAA-TV Dallas. He won multiple awards from the Arkansas and Texas Associated Press for Best Sportscaster and Sports Reporter. Steve spent four years in Denver, Colorado where he collected an Edward R. Murrow Award for his reporting and a Regional Emmy Award as a television host. Steve arrived in San Diego in May of 2006 and has been awarded four more Emmy Awards for his reporting. Steve and his wife, Katherine, are thrilled to be in San Diego along with their two children Veronica and Christopher.